I'm here to talk about Schemer. Where is he? Why is he no longer showing his face to the public? Please take the time to watch the video below. Everyone can make a difference. 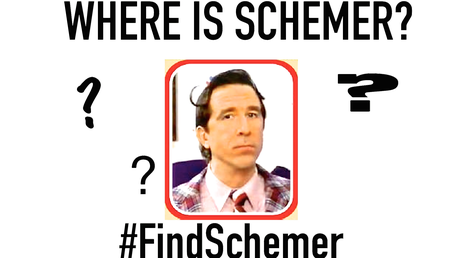 With the power of the internet, you can help us find Schemer once and for all. Just use the hashtag, #FindSchemer and spread the word to everyone you know.